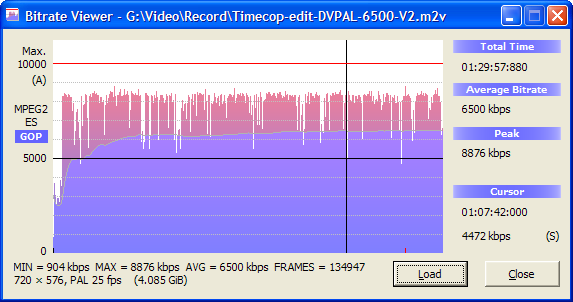 The main concept of this tool is to analyze all MPEG material from which you can create DVD's directly with a DVD authoring tool and draw a graphical histogram from analysis. So it should be able to read all files that include a video track and that you can use as assets for an authoring tool. With the graphical output you can easily view the quality of your video files before you're outputting it to a DVD and so save a lot of money by avoiding the production of any bad stuff. That's the main reason Bitrate Viewer is written for.